You might have seen me talking about this game on Discord or Twitter, and that's because it's really good. The character writing is pretty great and the plot goes places I was never expecting. It's completely free to play and only a couple hours long, so there's really not a lot of commitment! The game's website has a content warning about themes presented in the game. This warning also spoils some of the game, though no specific character events are mentioned. Read both the page and the VN at your own risk. I'm not bullshitting here. 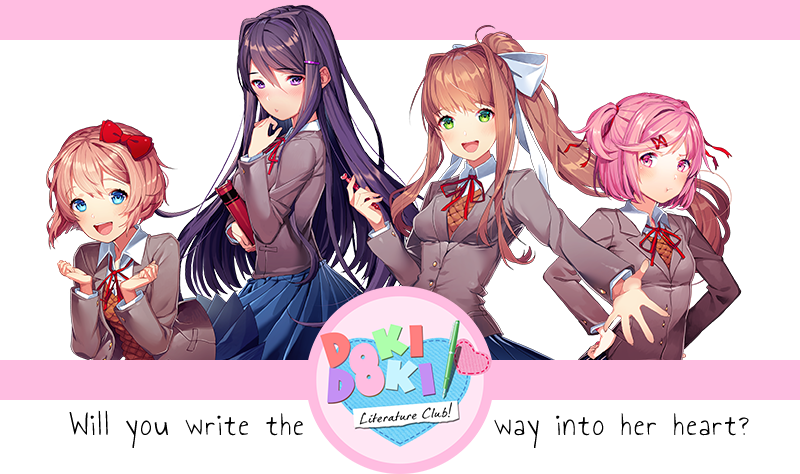 Re: Doki Doki Literature Club! I've been meaning to play it. Maybe I will get around to it today. I WILL FIGHT ANYONE WHO DARES TO SAY THAT ALL DOKI DOKIS ARE NOT OKI DOKI. They are ALL fantastic and I'm dumb enough to buy all their keychains or I'll convince a friend to do it for me, same difference.